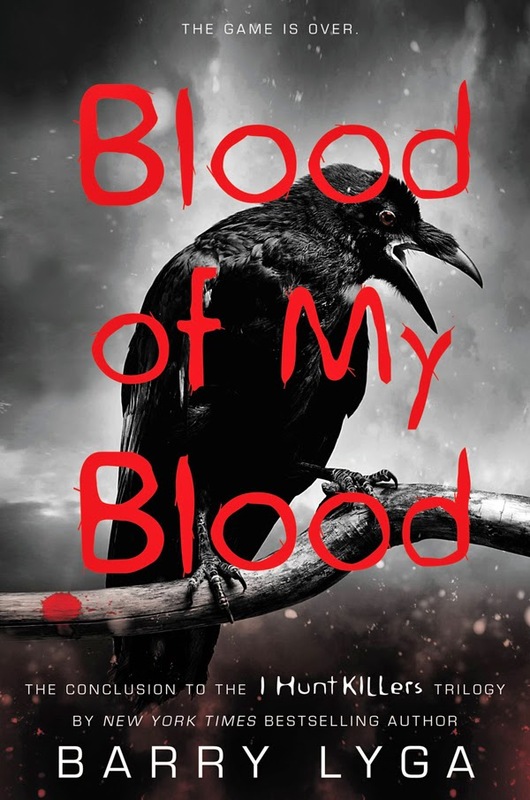 Blood of My Blood (I Hunt Killers) by Barry Lyga. Little, Brown Books for Young Readers. 2014. Review copy from publisher. Sequel to I Hunt Killers and Game. The I Hunt Killers series is the story of Jasper Dent, son of the infamous serial killer Billy Dent. It asks the question -- is the son condemned to follow in the footsteps of his father? If nature (the son of a killer) and nurture (raised by his father to hunt and kill) conspire to create a path for a child, will the child follow that path? And what is the cost of not doing so? What I liked best about Blood of My Blood is that it showed the trilogy to not be three connected stories about Jazz solving crimes, using his first-hand knowledge of serial killers (though it is that) but one story, told in three volumes, about Jazz coming to terms with his past and figuring out what his future should be. And, yes -- solving murder mysteries. I really like this series! It was compelling and I couldn't put it down.